Welcome to Brighton & Hove FrontRunners! We are a friendly group of lesbian, gay, bisexual, trans and queer (LBGTQ+) intermediate and improver runners who meet on a regular basis for fun and social running. Visit our Latest news page to find out about forthcoming events. Brighton & Hove FrontRunners was founded in October 2018 after one of our co-founding members posted in the LGBT Brighton & Hove Network Facebook Forum to see if there was any interest in a local LGBTQ Running Club. From there a bunch of keen LGBTQ runners met up one Friday evening and the rest, as they say, is history. 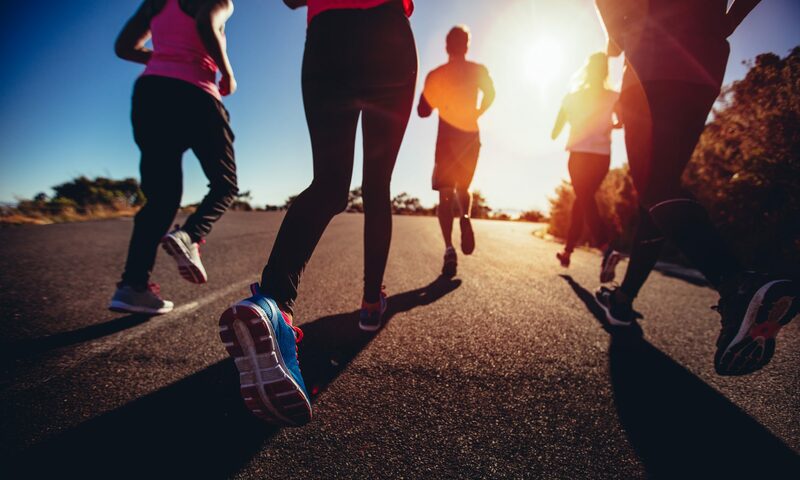 We are a friendly group of LGBTQ+ runners who meet at 7pm every Wednesday by the beach shelter outside the King Alfred leisure centre (car park/ beach side). Our weekly club run varies from week to week and we regularly do interval training and time trials for people who want to improve or monitor how well they are doing. You can choose at which level to get involved. We also do local races, tour local Parkruns and hold regular social events. We have also started to run once a month on a Monday to provide more opportunities to run. We are a mixed ability group and there is always a back marker so nobody is left behind. As long as you can jog 3k in under 30 minutes without keeling over you will be fine. Completely new to running? Sign up for our beginners course. Our first Annual General Meeting will take place next Wednesday (Wednesday 13th March) after the club run. We will be formalising the club and membership & governance arrangements. Come down and join us. You can find details here.